What do you notice? What is one common factor in all three of these places? If you guessed that everyone’s on their phones: ding, ding ding! You’re right. Our mobile devices are our constant companions. We seldom leave home without them, and they certainly help to pass the time when we’re otherwise occupied by mundane tasks. Like waiting in line. What does this have to do with your nonprofit? Imagine in those quiet moments of waiting, a donor happens upon your mobile website. Or opens a mobile-responsive email from you. How will you engage with them, right there, on the move? With these 8 simple strategies, you can engage with more donors on the go. Simply put, it means that your nonprofit’s website loads and functions just as well, if not better, on a mobile device (like a smartphone or a tablet) as it would on a laptop or desktop computer. It means that buttons are easy to push. It means that the text is larger and easier to read. It means that there are vibrant pictures that speak your message louder than long chunks of writing. Need more convincing to upgrade? It’s been proven that the majority of web traffic to any given nonprofit’s website generally comes from mobile web searching. Don’t let those people who are searching for your cause drift away because your mobile website won’t load. If you’re looking to launch a successful mobile fundraising campaign, and thereby engage more mobile donors, you have to start with a decent mobile website. 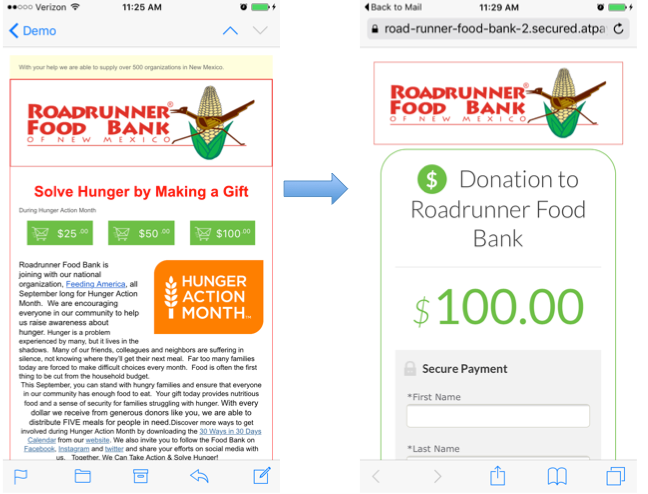 There are tons of great options when it comes to mobile fundraising. You just have to choose the one or two (or seven) avenues that work best for your organization! One of the first (and easiest) things you can do to increase your mobile donor engagement is to improve your online donation form. Qgiv recommends that you keep your donation forms simple, safe, and streamlined. And we agree with them! Has consistent branding. Include your logo, colors, and mission statement. Loads well on a mobile device. This may mean creating an entirely different donation form specifically for mobile. Doesn’t have too many options. Too many giving options will only confuse donors. Doesn’t have too few options, either. You want to make sure that there are enough options to give your donors a choice. Three or four giving options works best. Requires only the most pertinent information. Extra information just increases the likelihood that a donor will abandon the page. A great online donation form (that loads well on mobile devices, of course) is a fantastic way to engage with donors on the move. The sleeker and more streamlined your donation process is, the more likely your donors will be to complete a donation. Not only should your website work well on a mobile device, so should your email. There are few worse things as a donor than opening an email that doesn’t quite work. It loads too large (or worse, too small). It won’t scroll properly. There’s no obvious link to a mobile donation page. Luckily for your nonprofit, all of these problems can be fixed. As Double the Donation suggests, some of the most effective emails are short, sweet, and to-the-point. They provide a catchy subject line and an easy-to-discover link to an online donation page. It may seem counterintuitive, but mobile email is actually one of the top ways to reach millennials. They’re avid tweeters and Facebook addicts, but they’re also obsessive when it comes to checking mobile email. There are so many of them (83 million), and they are almost always on their phones. They’re overwhelmingly charitable. More than 80% of millennials made charitable donations in the last year. 70% also volunteered at least once. Regardless of whether or not you want to focus on engaging with more millennials, it’s important to hone your mobile email fundraising. Improving your email marketing will ultimately help you to engage with any and all of your donors. In today’s fast-paced, technology-driven world, it’s absolutely crucial to use mobile email to engage. It’s no secret that the way to reach young people is through text. But did you know that text-to-give campaigns are actually effective across the board? People of all ages and all parts of the country agree that texting is an easy and convenient way to give to their favorite charities. If you’re looking to reach more donors of all ages on the move, then look no further than text-to-give. It’s just one aspect of mobile fundraising, but it’s often the first thing most people think of when they hear the phrase. 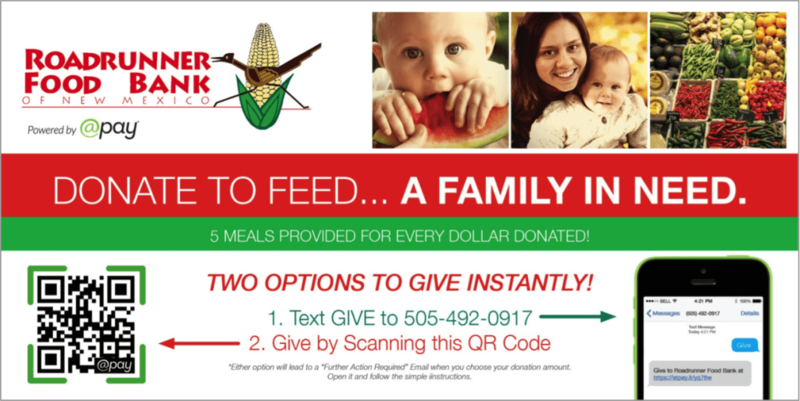 Text-to-give was made popular by widely successful campaigns like the Red Cross’s Haiti earthquake relief campaign. Today, though, text-to-give campaigns aren’t just for large, international organizations. They’re available to organizations of every size and nature. From arts and culture nonprofits to animal rights nonprofits–and everything in between. Yet another way to engage with more donors on the move is to catch them when they’re all in one place! Whether it’s during a church service or a rock concert, or somewhere in between, you can easily promote your mobile giving platform at a live event of your choice. You have a captivated audience. You have a platform for speaking. You may have the option to show visuals. There’s nothing better than being able to implore your audience to take out their phones and donate. It’s easy for you. It’s even easier for them. Everyone feels like they’re a part of something larger, and as such, they’re more inclined to tell all of their friends and family about their simple mobile giving experience. Voila! You have more mobile donors than ever before. If you’re not tapping into your past donors for support, it’s time to reevaluate. Your nonprofit’s greatest supporters should be well-known to you. They’re the key players. Your organization’s all-stars. But how do you leverage your existing donor base in order to reach more potential donors on the move? The answer is actually quite simple: peer-to-peer fundraising. You can begin to enlist the help of your advocates by gathering them together (virtually or physically, it’s up to you!) and letting them know your plans. Once they’re on board and have all the necessary tools to fundraise on your behalf, they can get out there and start motivating the mobile masses for you. Anyone else in their virtual or immediate social networks. With the proper resources and the right foot soldiers, your nonprofit could see its donor base increase ten-fold. Just think of all of the different social networks (both online and off) you could be a part of! Not only could peer-to-peer fundraising increase your donor pool, it also has the potential to strengthen your volunteer base. The more people that know about your cause and what you stand for, the better. Your donors are busy. They’re constantly on the go. They have people to see and places to be. But just because they’re busy, it doesn’t mean that they don’t care about your organization. In fact, they’d probably donate more of their time to volunteering with you…if they could find a minute in the day. How do you keep those people engaged and involved with your organization then? It’s actually really simple! If your donors are too busy to text-to-give, click on your mobile donation form, or give via email every month, then the best solution is to allow them to give a recurring donation. Offering multiple levels along with allowing recurring donations will yield considerably more funding for your organization. Think about it. If you include the option to give $25, $50, or $75 every month for a year (or until they conclude their donations), donors are far more likely to choose the middle-of-the-road option–in this case, $50 per month. Even though they know that their donations are private, your donors still want to feel and seem as charitable as possible. Use this psychological phenomenon to your advantage by setting up different giving levels for your recurring donations. Even if your donors choose the lowest amount, they’re still going to be making that same donation several times. A lower amount on a consistent basis can actually translate to more funding in the long run than a single donation of a larger amount. Last, but certainly not least: sending out mobile thank you’s to your mobile donors is one way to turn one-time donors into repeat customers. Engaging with donors isn’t just about getting them to donate. It’s about keeping them involved with your cause. But you already knew that! Some mobile thank you’s don’t even need a person to hit “send.” A lot of mobile donation software (email, text-to-give, and online donation forms included) actually automatically send out messages as soon as the donation process has been completed. Of course, for your major gift contributors and long-standing donors, you’ll want to personalize your approach a bit more. In any case, it can’t hurt to say thank you more than once. Additionally, your nonprofit can provide the option for its mobile donors to share their donation experiences on social media. Your donors can take a moment to brag about their good deeds (while also advertising your organization’s awesome mobile donation platform!). Well, there you have it! The top eight strategies for engaging donors on the move. We hope you’ve learned at least one piece of new information. Now let’s hear from you. What strategies have worked for you? How do you reach more donors on the move?